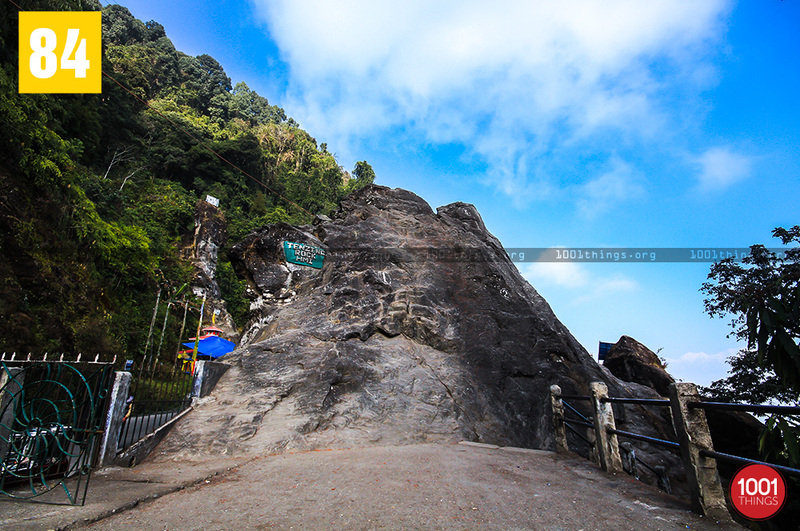 Tenzing and Gombu Rocks are situated at Lebong Cart Road commonly known as “Monkey Rock”, which was named after late Tenzing Norgey & Nawang Gombu. Himalayan Mountaineering Institute conducts preliminary course on Rock climbing on these rocks. These rocks offer challenging oddity for the climbers. 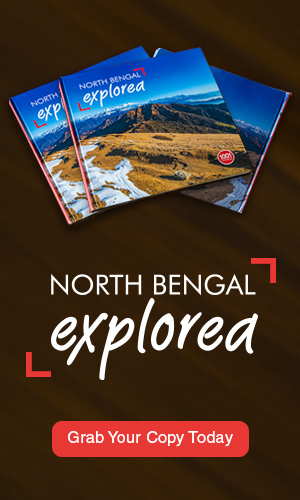 Tenzing Rock, a gigantic natural rock in Darjeeling is named after Tenzing Norgay, the man who created history by climbing the Everest first time along with Edmund Hillary in 1953. 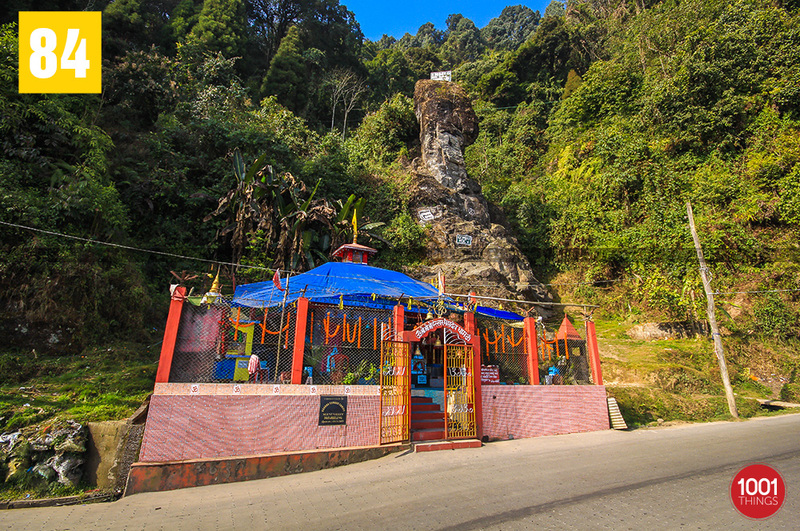 Opposite to this is the Gombu Rock named after Nawang Gombu, nephew of Tenzing who was the first person to climb the Everest twice, once in 1963 and then in 65. Both these rocks are used for rock climbing training by HMI. There is a board right on top of the Tenzing Rock that says “HMI Rock Climbing Training Area”. 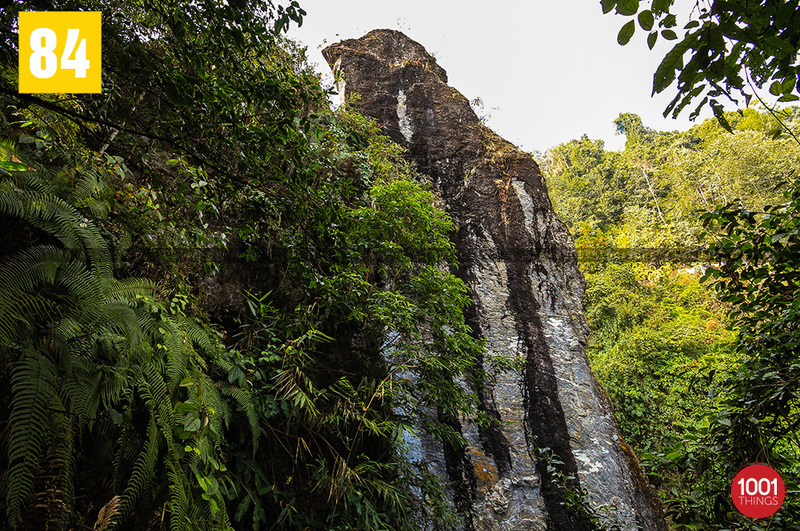 While facing the Tenzing Rock, the left side or the left face of the rock is used by the professional rock climbers and the trainees. The right face of the rock can be used by amateur climbers or even tourists for climbing. The gradient of the right face is gentle and surface is easier for climbing. 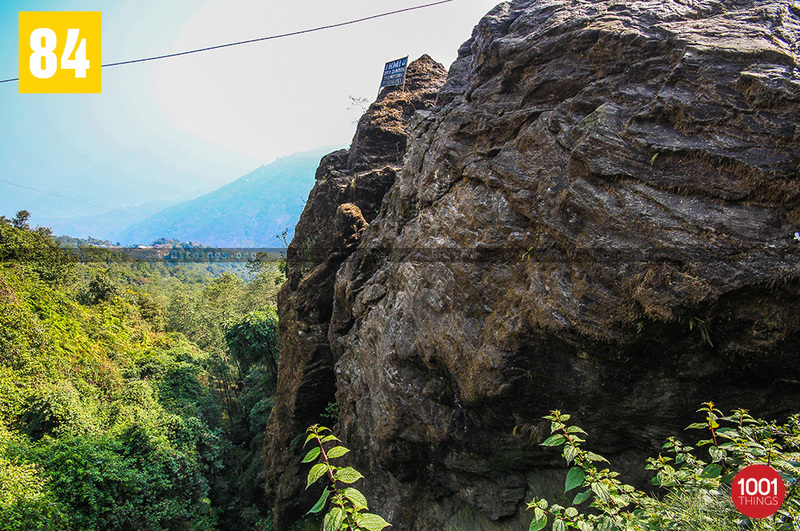 But if you see the left face of Tenzing rock looking over the fence on the road, you will likely to get a shiver in the spine unless you are yourself a professional climber. The steep and almost vertical rock comes up from far below and rises high above the road level. Tenzing himself used to practice climbing on this rock. 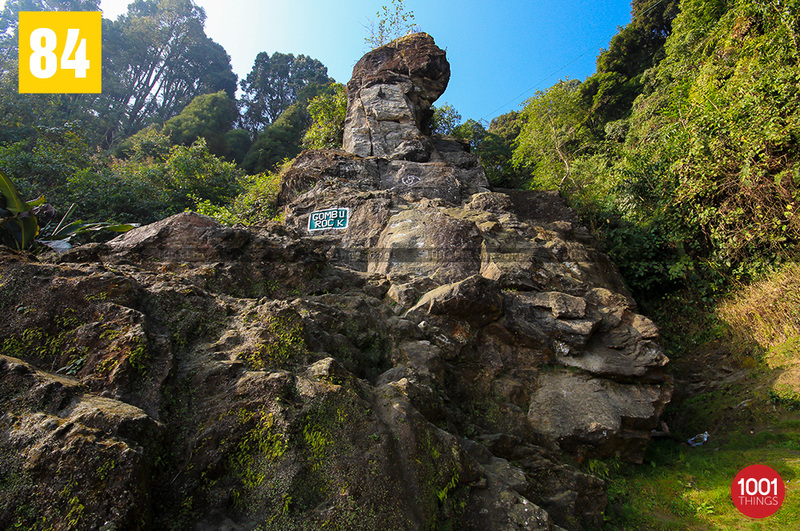 During a visit of erstwhile Prime Minister Jawaharlal Nehru, Tenzing demonstrated a climb on this rock without any safety equipment. You really need to have a skill of a lizard to do this. Every year Indian Army organizes rock climbing competition at the Tenzing Rock. in 2010, an army rock climber climbed the Tenzing Rock in just 35 seconds.